Russia’s Defense Ministry has said that a fake chemical attack on civilians has been filmed in the northwestern Syrian province of Idlib. The ministry said on Aug. 25 that a provocation using chemical weapons in Idlib was being prepared by al-Qaeda affiliate al-Nusra Front with the assistance of U.K. special services. Meanwhile, U.S. officials have said that they have evidence that Syrian government forces are preparing chemical weapons ahead of a planned assault on Idlib. 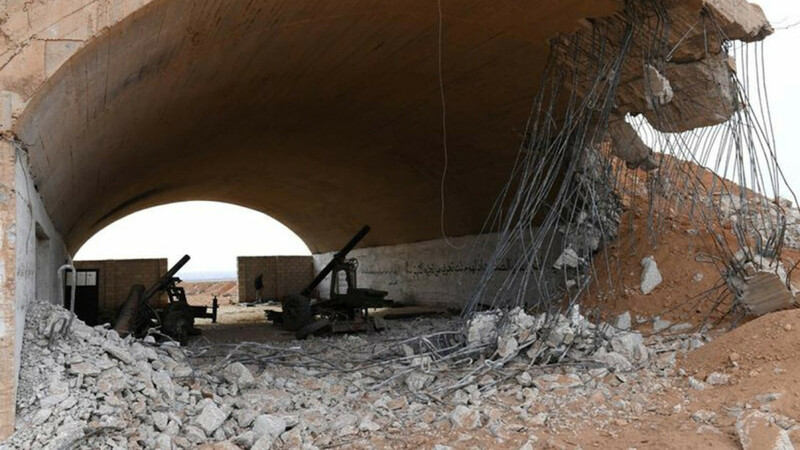 “A staged provocation of so-called ‘chemical weapons’ used by the Syrian army against civilians is currently being filmed in Jisr al-Shughur,” the ministry said in a statement carried by Russian news wires Tuesday. 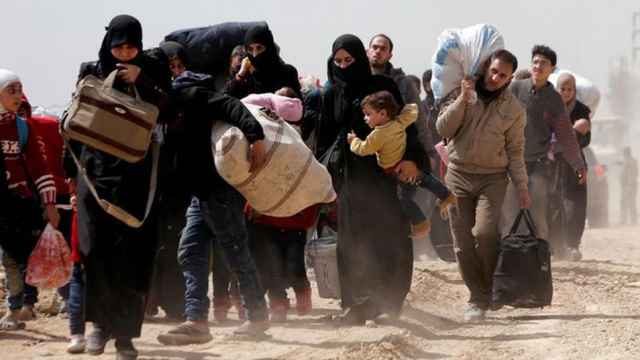 “According to the script, the staged ‘rescue’ scenes by ‘Civil Defense’ (‘White Helmets’) are planned after an alleged Syrian army use of so-called ‘barrel bombs’ with poisonous agents,” it said. The footage was filmed by several Middle Eastern news channel crews and one unnamed U.S. broadcaster, the Defense Ministry said. “By the end of the day, it should be circulated across the editorial offices of TV channels to be aired after being posted on social media,” it predicted. The United States will use the “false flag” poisoning as a casus belli for retaliation, the Russian Defense Ministry said. On Monday, U.S. President Donald Trump's national security adviser said the United States, Britain and France had agreed that another use of chemical weapons by the Syrian government would result in a "much stronger response" compared to previous airstrikes. At least 60 people were killed and more than 1,000 injured at several sites in the alleged chemical attack on Douma. 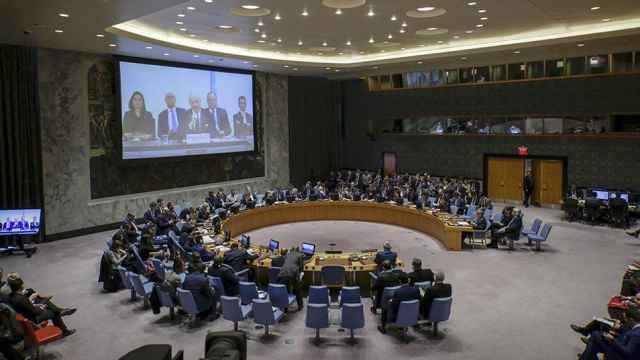 "There was no chemical weapons attack" in Syria, Russia told the UN Security Council. 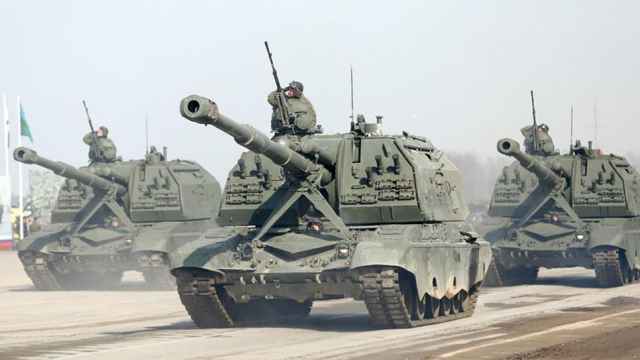 The drills stretch from Siberia to the Urals and the Volga region, as well as military bases in Tajikistan and Kyrgyzstan. 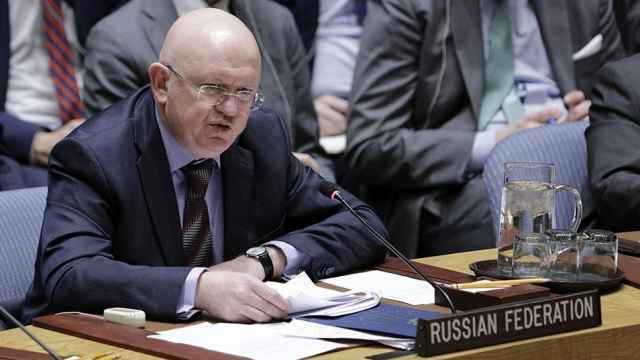 Russia on Monday blocked a meeting of the United Nations Security Council to discuss the human rights situation in Syria.